Do you have annoying friends like this? Well, if you have, you will feel for the characters that are pranked in this film. O.T Ghost Overtime is 103 minutes of pranks after pranks of 3 annoying bosses that plays ghost pranks on their employees who wants to stay late in the office to claim overtime pay. I don't know how to survive if I have friends/bosses like them. I would have a mental breakdown within a day. It's like constantly being on Just For Gags TV. "What do you mean that behind every successful man is a scary woman? You meant wise woman, right.. right?!" 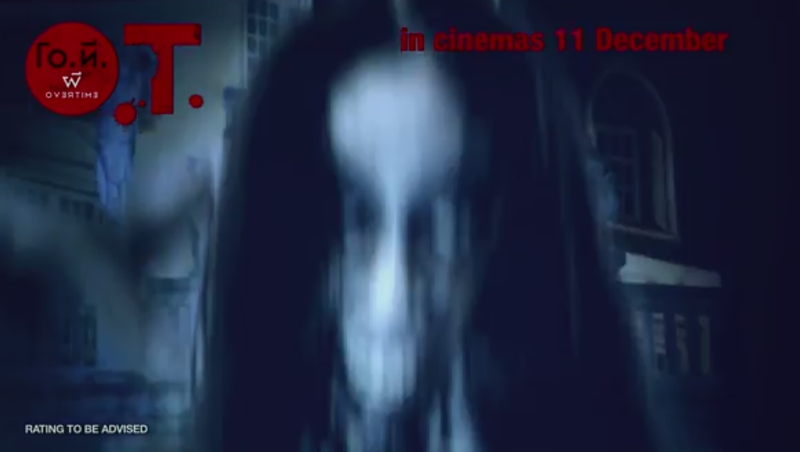 Synopsis: O.T Ghost Overtime is a sequel to 3AM, so the ghosts that haunts the office in the first part of the movie are from the first movie. However, fear not if you have not watched the first movie, because there is little reference to the first. Making use of the rumour that the office is haunted, the bosses play ghost pranks on their employees who intentionally stay late in the evening to claim OT pay. IT WAS SO HILARIOUS (and scary) at the same time! I am still laughing at this particular scene at this moment! And this is exactly how you would feel while watching O.T Ghost Overtime - the feelings of fear and tears of laughter. The storyline is confusing in the first half of the movie, but it will all be clearer when you finally understand what is going on in the second half. I like the concept of the movie, but I felt that the pacing of the storyline was too slow. The characters were also very unlikable, given that all of them are pranksters. It is difficult to feel emotionally attached to any of the characters, which is one of the most important element to a good movie. The twists and flashback-reveals was an interesting way to unveil the pranks, and the ending was pretty good. 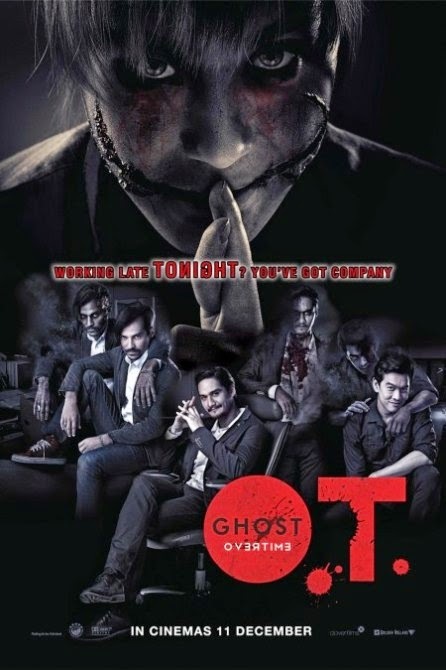 Overall, O.T Ghost Overtime would resonate better to the general audience as a Thriller genre instead of a Horror genre. I mean, the fun part of watching a horror genre is hearing timid girls scream their lungs out, right? Stay back for: DO NOT LEAVE if you see the first credits rolling. THAT IS NOT THE END of the movie! The real ending is something related to the elevator. As always, the Evilbean is grateful to Clover Films for the special preview passes for O.T Ghost Overtime! Like their Facebook page for the latest Asian movie previews and contest giveaways!